Ranking highly for relevant search queries can be a very powerful marketing tactic for small businesses. But if you've never looked into search engine optimisation (SEO) before, then it's hard to know where to start. It's a huge field and you can spend hours learning about all the details of on- and off-page SEO tactics. But, if you own or work for a small business, it's unlikely that you've got hours available to spend reading & researching. So here's a checklist of SEO tactics that are simple to execute—so they shouldn't take up too much of your time—while still being effective enough to make a difference to your rankings. It's important to note here, however, that search engines are unpredictable things and climbing the rankings can take weeks, months or even years. So SEO is a long-term game, and it's best to keep that in mind when considering the time and effort involved. Many of these tactics can be repeated periodically, to help your search rankings continue to improve over time. This consistent long-term effort tends to be what helps your website do better than its competitors. If you have a Google account for Gmail or Drive or any other Google service, then that means you've already got an account for Google's Webmaster Tools. If not, you can register for free here. Once you've registered and logged in, you will need to prove your ownership of your website, so that you can access the data Google gathers about it. Follow our guide on setting up and using Google's Webmaster Tools for more detailed instructions on this. Fortunately, that's the trickiest part of the process completed now. Once you've added your website(s) to your Webmaster Tools account, all you need to do is wait a few days for the data to start trickling in. And it's only over the course of several months that the data will start to become truly useful. You'll be able to see what search terms your site is ranking for, which specific pages are ranking for those terms, and how many people are actually clicking through to visit your site. You'll also find out whether your site is attracting lots of relevant, natural links over time, as well as whether Google's search spiders are having any trouble discovering or understanding your site's content. Make sure you read our guide on using Google's suite of Webmaster Tools at some point—there are many useful things that these tools can help you with. But, for now, you can simply make sure that you've set up your account so that you can return next week to see what data is there. This step is extremely simple, as there are countless free online tools (such as this one, or this one) that you can use to generate a sitemap. Then, you simply upload the sitemap file to your site and tell Google where to find it. If you're using WordPress for your website, you can even add an SEO plugin that will generate a sitemap for you (read our article to find out how), or a specific sitemap-only plugin if you prefer. A sitemap is simply an XML file that contains a list of the pages on your website and their locations (i.e. their URLs). This is very helpful for search engines because it means they can quickly crawl through your entire site and check all of its pages. It's also very helpful for us because we might have pages on our site that are not well-linked-to from other pages. For example, an old blogpost that you have never linked back to from any newer blogposts. With a sitemap, we can make sure that none of these 'lonely' pages are missed by search engines. There is another very handy free website-optimising tool that you can use to complete this task very quickly. It's called the Screaming Frog SEO Spider tool, and it's available on both Windows and Mac. This tool allows you to enter your site's domain in order to crawl every single one of its pages, showing you the same sort of information that search engines look at. It might seem like a daunting pile of information at first, but if you focus on one thing at a time you can learn a lot in just a few minutes. For example, in just 3 minutes now, you can have this tool crawl your site and then click through (as shown in the the screenshot above) to view just the 'Duplicate Title Tags' and 'Duplicate Meta Description Tags'. If you see only a few of these duplicates, or even none, then that's very good news indeed. Search engines like Google want to see website owners adding unique and helpful titles and meta descriptions to each of their site's pages. These titles and descriptions may not be seen by users (although they are often what shows up if your page ranks in search results), but they are definitely taken into consideration by search engines. They can also be used in other places, like when someone shares a link to one of your pages on a social network like Facebook. Facebook will pull the page's title and meta description to show a snippet in the newsfeed. As you can see, having unique, descriptive and engaging titles and meta descriptions is a vital part of having a well-optimised site. And it's something you need to think about for every new post & page you publish. It's important to stick to certain length limits for both of these things, too. This search snippet optimiser tool will help you craft good titles and meta descriptions without going over those limits. If you have a lot of pages with duplicate or missing titles and meta descriptions, it might take some time to fix them all. You might even want to outsource this task to a creative copywriter. But discovering whether this is an issue that is affecting your site's performance in search rankings takes only a few minutes, if you use the handy SEO Spider app. While you've got the Screaming Frog SEO Spider app open, it only takes an extra minute or two to also have a look for missing image alt tags. The screenshot above shows the buttons to click. When you add an image to a page or post on your website, you might be using a visual uploader and/or drag-and-drop interface. This is very helpful for non-coders to get the task done quickly. The section that says alt="The Acme Corp circle logo in red, green and white" is this image's alt tag. It has nothing to do with how the image looks, but is a very helpful tag nonetheless. The alt tag is designed to contain a clear, reliable and useful description of the image. This means that if the image doesn't load for some reason, the browser can display a broken image symbol along with the alt tag. So if someone is browsing your site with an unreliable, slow mobile connection, they may not be able to successfully downlaod the image but they can still read the description taken from the alt tag. Also, if someone is using a screen reader to browse the web because of visual impairment, they might not be able to see your images but the screen reader can describe the images by using their alt tags. So if the SEO Spider app tells you that the images on your site are missing alt tags, you might want to start making sure you add alt tags (easily done in WordPress—this video, no affiliation of the London Academy of IT, shows how) from now on. And go back to add alt tags to the images in your most important existing posts and pages, to be on the safe side. Once again, the Screaming Frog SEO Spider app allows us to check for this type of issue very quickly. A brand new site is unlikely to have many problems with broken links and missing assets (like images), but it takes surprisingly little time for a site to grow to a size where these problems abound. For example, you might have published a few dozen blogposts across a few categories. But then you realise you need to add a new category and transfer 5 existing blogposts into it. If your site's URLs include a section that shows a post's category, then those posts that have moved into a new category may now have a new URL. So any other posts and pages that link to these moved posts will now link to a non-existent URL. And, worse—if other sites have linked to your moved posts, their links will no longer work. So you'll lose all the benefits (traffic and 'link equity', i.e. positive signals that Google can monitor) from those links. It is, therefore, a very good idea to regularly check your site for broken links. If you do spot any broken links, act quickly using 301 redirects to make sure that anyone who tries to visit the old link, including search engines, will be redirected to the correct existing page. If you're not sure what an .htaccess file is or how to make/find yours, ask a web developer to help you. It doesn't take long to add a few 301s. If your website is for a local business, i.e. one with a real-life location that customers can visit, this step is important. If not, you can skip this one and save yourself an extra 5 minutes! We can use the Screaming Frog SEO Spider app to help us discover whether the 'NAP' (name, address and phone number) information on each page is correct and identical throughout our entire site. Use the SEO Spider app's 'Custom Source Code Search' feature to search for the NAP information that you'd like to see everywhere on your site. It will tell you if it is missing or incorrect on any of your pages. Having consistent NAP information throughout your site makes it much easier for search engines to understand where your business is located and how customers can contact you. As you know, search queries with local intent (such as 'thai food near here') will trigger Google to show local listings and useful business data, so that the person searching can find what they're looking for as quickly as possible. If Google doesn't have a clear understanding of what your business' name, address and contact details are, they will be less likely to give your business a prominent position in these local results. 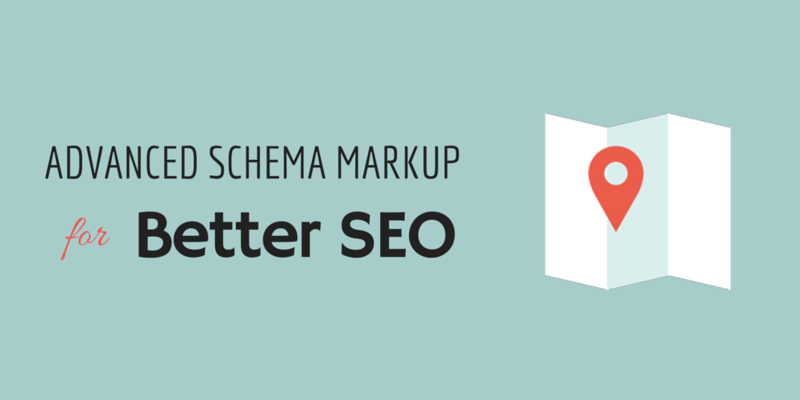 While you're thinking about NAP information, you might find that this is a good time to investigate using LocalBusiness Schema markup to make it even clearer to search engines what you sell and where you're located. Finally for now, we can use the Screaming Frog SEO Spider tool to check whether all of the pages on our site contain unique content. And you might also want to make use of the Copyscape tool for this job. Search engines take a dim view of website content that has been copied from elsewhere, considering it a spammy tactic aiming at getting a site higher in the search rankings than it deserves to be. Ultimately, people want to find unique, relevant content when they're searching the web. So search engines are very careful to penalise websites that contain low-quality or duplicate content. Sometimes duplicate content issues can occur despite the best intentions. For example, you might ask a writer to move a blogpost from the 'News' category to the 'Events' category, but they aren't quite sure how to do this so they create a copy of the original post for the 'Events' category. This could leave you with idential pages at http://yourdomain.com/news/new-blogpost/ and http://yourdomain.com/events/new-blogpost/, which isn't good for your website visitors and therefore also makes search engines unhappy. You might also experience the unfortunate situation of hiring a writer to create content for your site who delivers work that is actually copied from elsewhere. This is where the Copyscape tool (linked to at the start of this section) comes in handy. Make sure you check that anything new you publish on your site is really new and unique before publishing it. It only takes a couple of minutes and can save you lots of headaches in the long run. As you can see, a big part of doing well in the search rankings is having a well-built, good quality site. Your content needs to be unique and clear, and you must fix broken links or missing images as soon as possible. Luckily, it doesn't take long to run a diagnostic on your site to check for these issues. So schedule this 25-minute routine each week and rest assured that your site isn't being let down by any easily-fixable problems.